This fresh phone case design was created by using watercolours to achieve a more complex look of the pattern elements. The bright yellow colours and the high quality print make this case the perfect choice for the hot summer. We use our phones all the time, so why don't you have them protected in a very pretty way? This fresh phone case design was created by using watercolours to achieve a more complex texture. 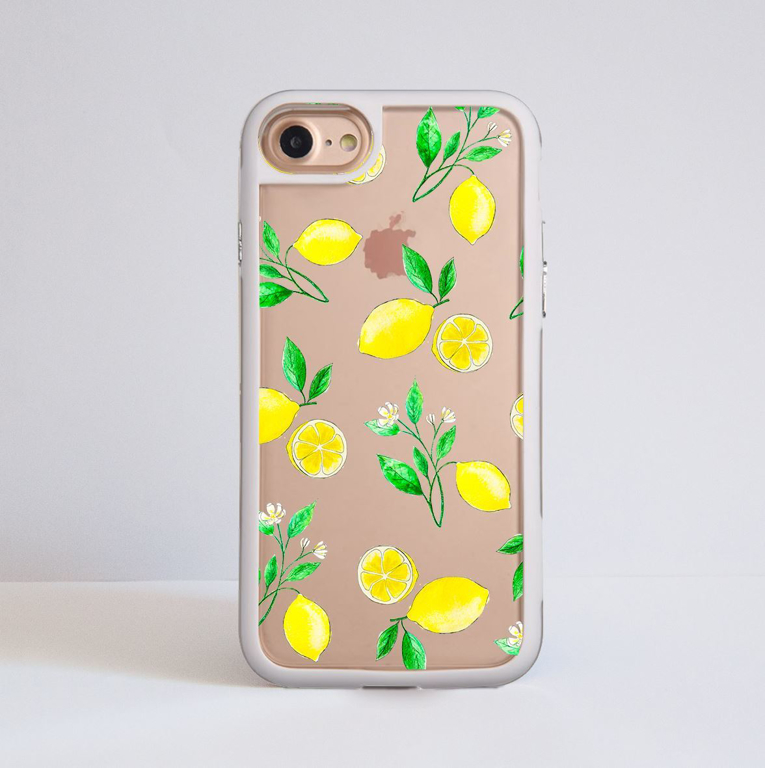 With bright yellow colours and high quality print this case is the perfect choice for the hot summer. 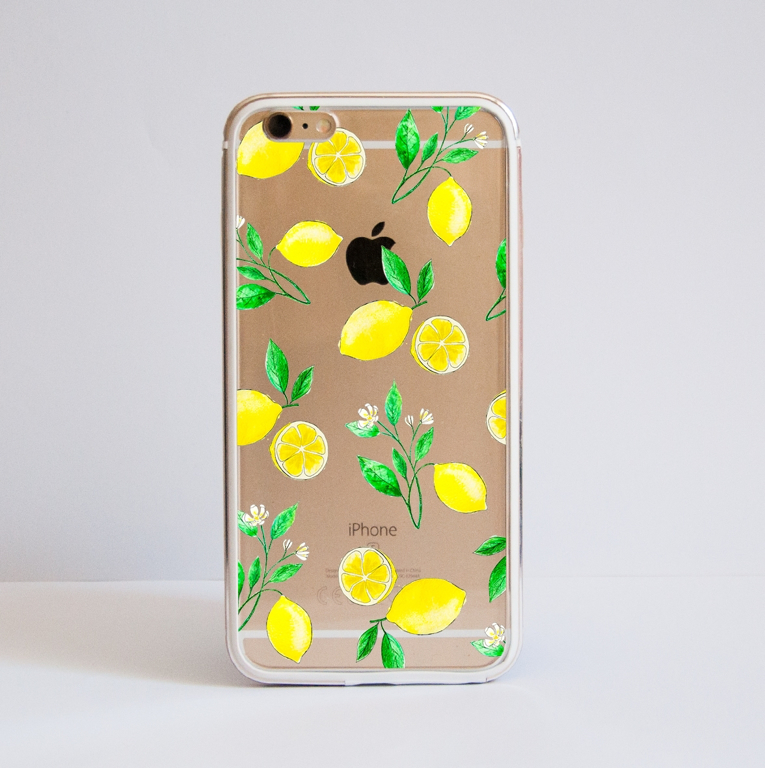 This fresh phone case design is created by using watercolours to achieve a more complex look of the lemon elements. The bright yellow colours and the high quality print make it a great choice for the summer season. The pictures above are examples of an iPhone 6 Plus clear cover. The case itself is made from hard clear plastic, and the design in printed directly on the case, using special UV ink that ensures the high quality and long lasting print. Please note that different cases have different shape and size, therefore there will be some slight variation of the printed design, being more or less zoomed in or out. Also please be aware that different phone models require holes in their cases for sockets and the camera lens, which can obscure parts of the design.